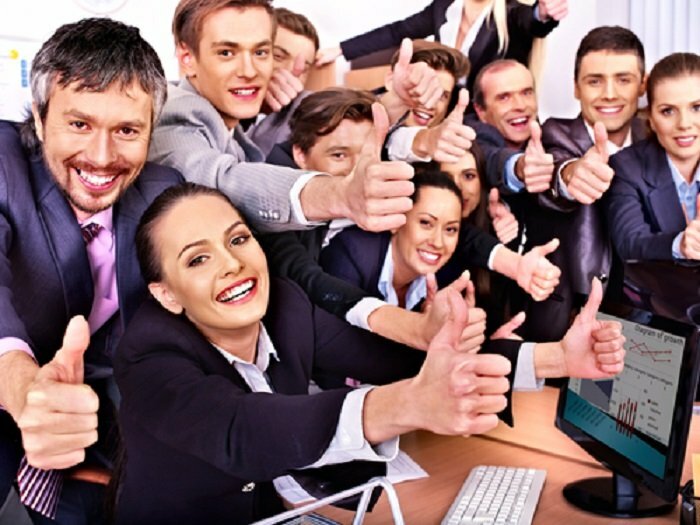 It’s basically common sense: happy employees make for a better company. While you can’t exactly force anyone to be happy with their work, there are definitely some steps that you can take as a leader to ensure that you’re making your business conducive to happiness. 1. Continually work on building relationships with your employees. Just because you’ve had a good chat with an employee once doesn’t mean that you’ve created some kind of lasting, unbreakable bond with them. Think of your relationship with your employees as any other important relationship within your life; it strengthens over time as you continue to talk and get to know each other. Be genuinely interested in your employees’ lives, aspirations, etc. Find out some personal things about them that you may be able to make a connection with. While you shouldn’t cross any professional boundaries, you can at least break down some of the barriers that often exist between “bosses” and “workers” to help make your employees more comfortable with you. 2. Realize that you don’t always have to have the same opinions. While it’s important that everyone in your company is aware of the company’s goals for growth and long-term success, it’s also important to realize that the people working for you may have different personal career goals that they’re working toward. Be open to these goals and do what you can to help your employees achieve them. They’ll be much more motivated to help you achieve your goals with the business if they know you’re helping them in return. 3. Take it out of the office. One of the best ways to get employees to let their guard down is to take the people from the office away from business grounds. Go out to lunch, have cookouts in the summer, have a day-long retreat, etc. It’s a great way to offer a break to your employees while getting to know them better in a more comfortable setting for them. People love being told that they’re doing a good job. Show your appreciation for great work whenever you get the chance, whether it’s with a simple verbal “thank you” or with rewards or thank you notes. Give gifts at the holiday season as well. Your appreciation goes a long way toward keeping employees happy. Your business can only truly be operating at its peak efficiency if your employees enjoy working for you. Follow these tips and your company will continue to run like a well-oiled machine.